Most of us agree that we should have a Facebook presence, but if you’ve ever asked yourself “why?” you aren’t alone. Many real estate agents fail to connect how Facebook traffic and likes can result in real estate buyer and seller leads. 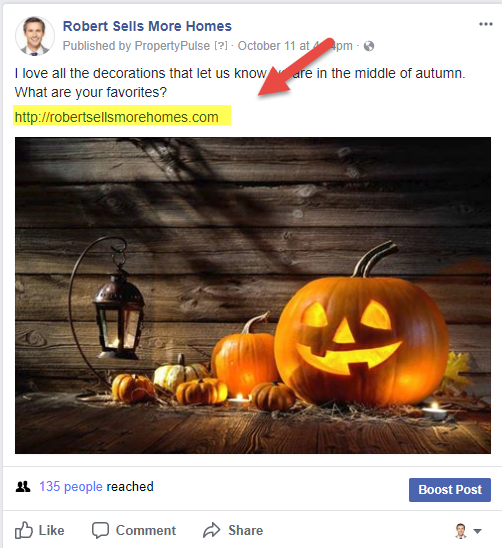 If you find yourself nodding along while reading the last two lines, you are likely committing one, or more, of the following Facebook real estate marketing mistakes. Consider this for a moment…how can you expect to follow up with your leads if you don’t have their contact information? Sure, the Facebook platform allows you to send internal messages but wouldn’t it be better to have personal email addresses and phone numbers? It’s not enough to just wish that would happen, you have to make it happen! 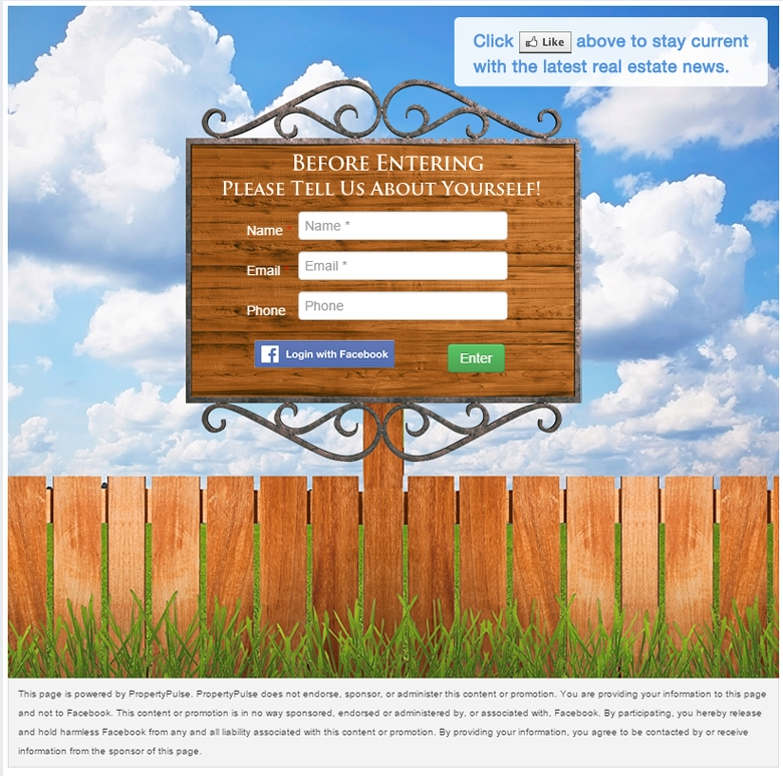 In our platform, PropertyPulse, we offer clients both Facebook Lead Gate, Like Gate, and Lead Capture forms on their websites in order to get this important information up front. 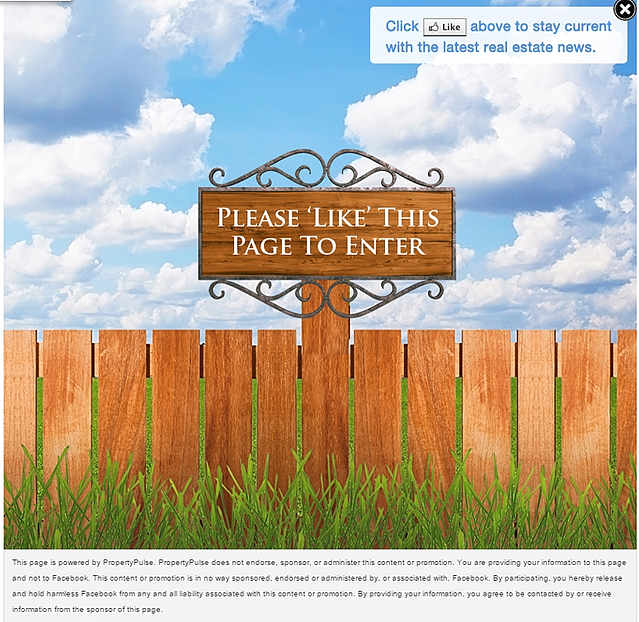 Lead Gate asks followers for their information when they like your page and Lead Capture is essentially the same concept, except it’s on the real estate website. There is another option as well called Like Gate as well. When enabled, this asks Facebook visitors to ‘like’ your page to view your content. If you are now getting lead information, following up quickly is imperative! Buyer and seller leads typically request information from a variety of real estate agents. You want to be the very first to get back to them. We offer automated lead nurturing email campaigns within PropertyPulse to help nurture these leads after that all-important first touch. If you are posting entertaining and engaging material on your Facebook page, that’s fantastic! But, how are you getting those Facebook visitors to your website? You must brand your posts with your website in order to drive that traffic to your site. All the social posts created within the Social Auto-Poster tool in PropetyPulse include a link to the agent’s website to push traffic on to their website. Simply put, if you aren’t asking your followers and leads to do anything, they won’t. While you want a mix of posts so that you aren’t just pushing to sell, sell, sell your services, you do want to ask your followers to move down the sales funnel. Have a new blog post? Ask your followers to give their opinion. Engagement happens when you ASK for it. Don’t just passively post on Facebook and hope something happens…you’ve got to ask for it. You want your leads to get the most exposure possible, right? Facebook is one more channel to get eyes on your listings! PropertyPulse automatically updates your feed with your listings so that more followers can see your listings. This not only helps your listing get more exposure, but it pushes leads to your website where PropertyPulse allows you to track their activity and effectively market to leads. Do any of these 5 reasons resonate with you and your Facebook marketing initiatives? We can help! Try a 30-Day, no obligation trial of the Social Auto-Poster (just one of the tools included in PropertyPulse) as a special gift!